Have been missing in action for a month or so .. It has been busy busy days for me at week and some week I can relax and lazy to do anything. I am now learning to do more healthy cake that will have fruit to enhance the sweetness of the cake and also taste yummy for the little mouth I am feeding. I am learning to bake gluten free cake as well. Now I understand well gluten free simply mean using other ingredient to substitute flour in the recipe. I come across this cake from ->Anncoo Journal . I love to know how pistachio taste like in a cake. So here are my baking . 1. Place the pistachio nut and rice flour into food processor and process until the nuts are finely ground. The flour help the nuts to be grind evenly . 3.Beat the egg yolk with sugar (70g) on high speed til the mixture become thick. Put in the flour mixture and granted apple. Put in the melted butter and stir till well combine. 4. Beat the egg white and add in the 20g sugar gradually and beat till firm peak . 5. Preheat oven to 160C. 6. Gently fold the egg white into the egg yolk mixture in 2 batch. 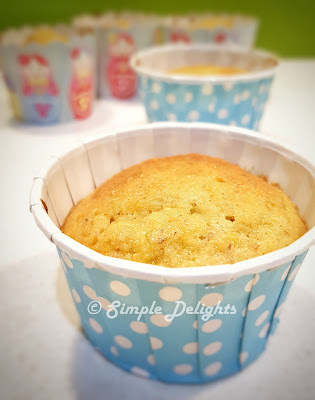 Scoop the mixture into the cupcake mould. 7. Put all the cupcake into oven and bake for 20-25 min until cake tester insert come out clean . I simply love this cake. 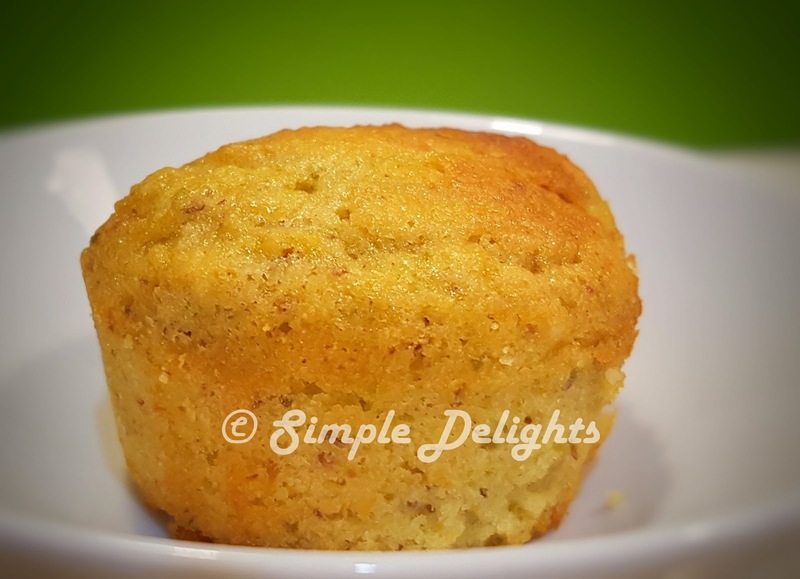 The texture is moist and the nutty flavour is pleasant. I can not taste or smell any trace of apple. If I did not mention , I suppose those who eat this cake will not have notice it. However the apple contribute to the moist and softness in this cupcake. Compare to the orange almond cake , this cake is not crumbly at all. So I guess the apple did a great job . 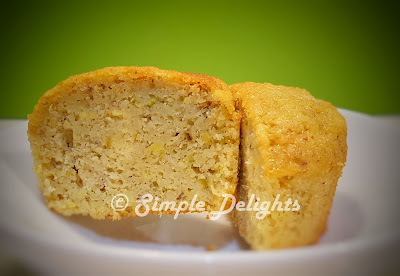 If you prefer light moist and soft cake without crumbly ( which most gluten free do) . You can have a try on this cake. Hope you will try to make some of this soft moist Pistachio Apple Cupcake for yourself.